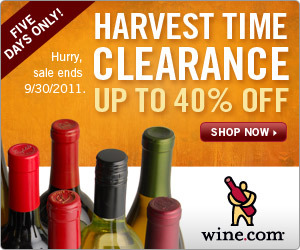 ABC Wine Ratings and Reviews: It's Harvest Time Clearance at Wine.com! 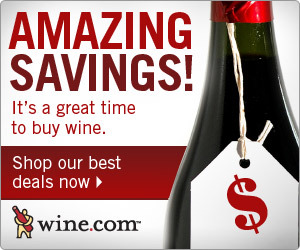 It's time to make room for the next vintage which means up to 50% savings for Wine.com shoppers. For 5 days only, from September 29th through October 3rd, 2010, you can save up to 50% on select wine during the Harvest Time Clearance. No promotion code required. Prices are as marked and quantities are limited to stock on hand.